Good nutritional care is a fundamental component of palliative care provision. Managing issues associated with eating and drinking, weight loss, and changes in body image towards the end of life can be challenging for many patients and families, as well as for healthcare professionals. The best nutritional care happens when patients and families are provided with early, consistent, and evidence-based dietary assessment and guidance. As well as direct provision of care to patients and families, dietitians have a significant role in educating all members of the multidisciplinary care team on the provision of optimal nutritional care for patients with life limiting illness and in supporting the evidence base to practice through engagement in research. 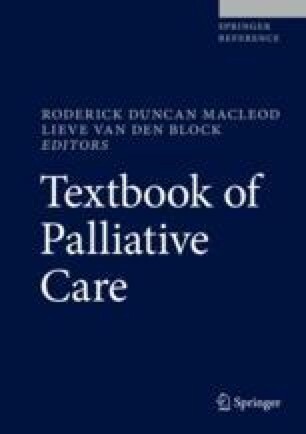 The aim of this chapter is to provide an overview of the role of the dietitian as a member of the specialist palliative care team and to explore dietary interventions provided when incurable progressive illness is diagnosed and when a person approaches the end of life.